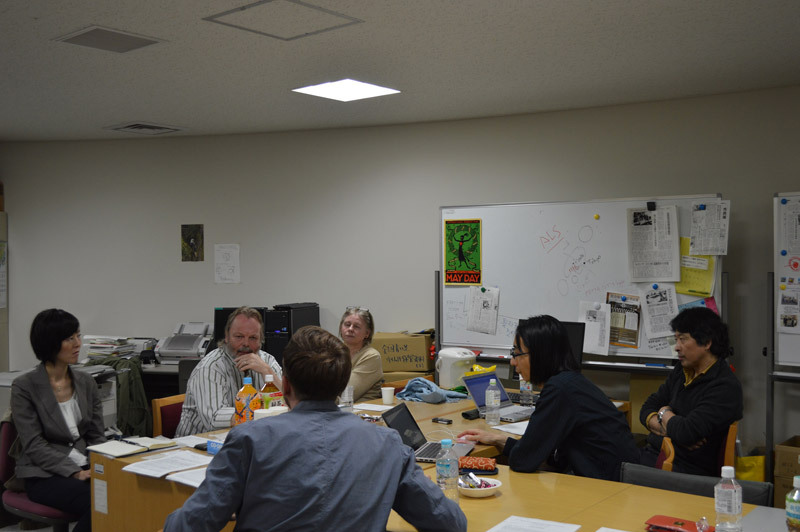 In November the Research Center for Ars Vivendi at Ritsumeikan University invited Dr. Simon Prideaux, who is associate professor in Social Policy, Sociology, Disability Studies & Crime at the University of Leeds and is also associated with the Centre for Disability Studies there with which the Research Center for Ars Vivendi has exchanged the Memorandum of Understanding. The following is his comment after participating in the workshop. 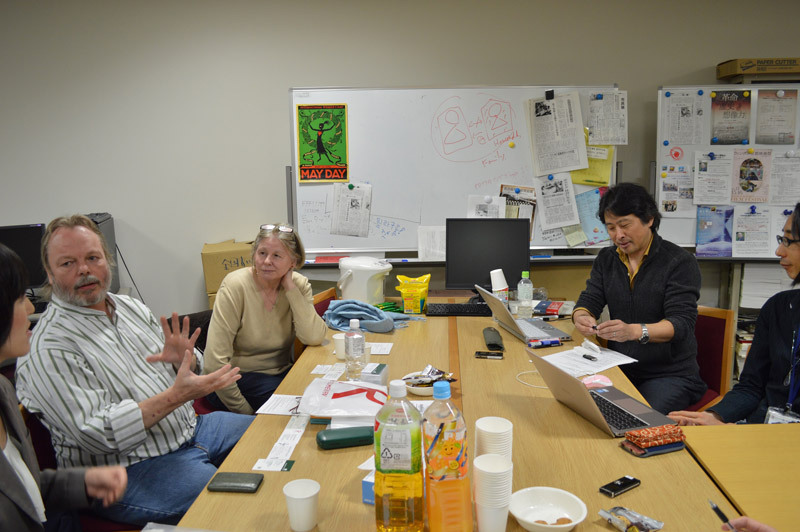 On the 6th of November, 2014 I paid a second visit to Ritsumeikan University in Kyoto. For nearly two hours I was part of a question and answer session with students and Professor Shin'ya Tateiwa from the Graduate School of Core Ethics and Frontier Sciences. Primarily, I was there to update the attendees from Ars Vivendi on the activities of the Centre for Disability Studies in the University of Leeds and the progress, or rather the lack of progress, the system of Direct Payments to disabled people has made in the United Kingdom. However, as an academic whose interests go beyond Disability Studies (namely Social Policy, Sociology, and Critical Theory as well as being a member of the Bauman Institute in Leeds) the scope of the meeting widened. Questions in both directions were, as a consequence, simultaneously wide-ranging, erudite and taxing. 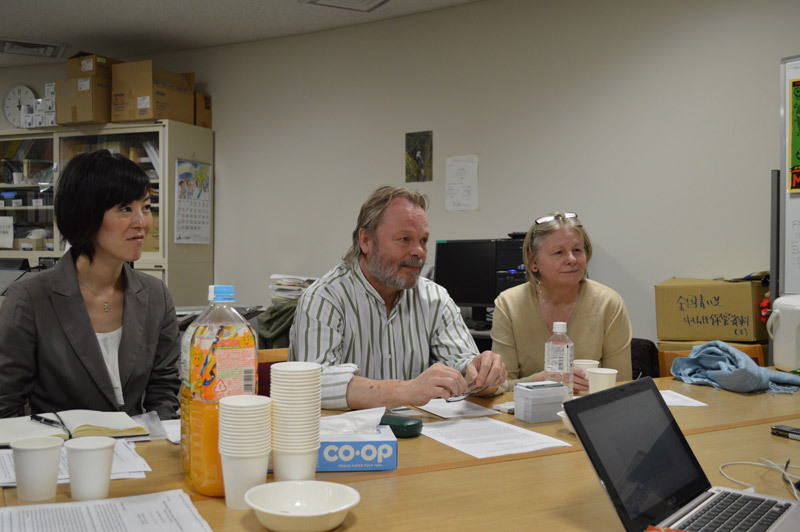 Inevitably, issues were addressed that related to the situation in Japan, gendered discrimination, mental health issues and the theoretical nature of Social Policy in Leeds to name but a few. Given such a scenario, my enthusiasm for the Research Centre for Ars Vivendi and its members was further stimulated. Not only were new fields and grounds being incorporated into innovative studies of disability but all present at the meeting were eager to listen seriously and closely to the opinions of those academics they were studying or, as in this case, meeting. All-in-all, I felt there was a vibrant and relevant intellectual atmosphere which bodes well for current interdisciplinary social research and, of course, for the future. In sum, I found the session to be enjoyable, the interdisciplinary nature of the group impressive and my association with such challenging intellects enormously refreshing. Indeed, I left the session honoured to have been an invited to meet such a prestigious group.